King County is committed to being a place where every person can succeed and fulfil their potential. It is important to further work being done that allows every community here to thrive and have the opportunities it deserves. A current program in the Department of Community and Human Services (DCHS), through the Employment and Education Resources (EER) division, seeks to do this for underserved Latinx youth. The King County Reengagement System, working closely with the Road Map Project, coordinates with local partners to reduce education and employment disparities faced by youth and young people in King County. As part of this effort, Hannelore Makhani, Reengagement System Manager within DCHS, is overseeing the Latinx Youth Engagement Project. 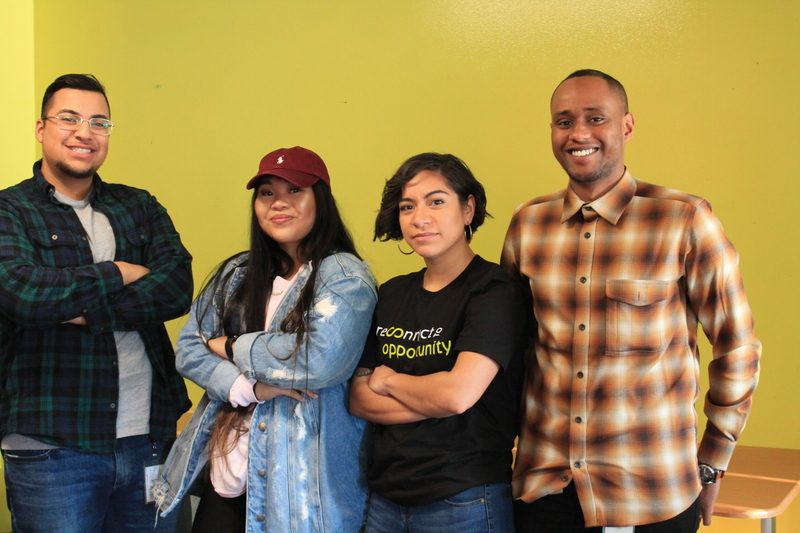 This project seeks to understand how Latinx youth are being served by reengagement programs in King County and how to improve services and increase graduation rates by speaking directly to them and gathering feedback. “One of my responsibilities is to help the system understand our performance—both areas worth celebrating and places where we need to focus our improvement energy,” Hannelore said. Pictured: Several Latinx youth who participated in the Jan. 2018 listening sessions and then were featured in a panel at the all-day Racial Equity Institute held by King County in February last year. In 2018, Hannelore held six listening sessions and spoke with over 40 Latinx young people. Themes were identified within their discussions and professional development efforts were launched for staff in hopes of improving youth experience and achievements. Through analyzing the data submitted by 28 community partners providing education reengagement services over an extended period, Hannelore was able to see the disconnect between services and outcomes. It was discovered Latinx students had the highest need for reengagement when the data was separated out in various ways, including race. “Because there are limitations to what information data can provide, the next logical step was to go to young people and ask youth for feedback directly,” she added. Hannelore explains that many times, service providers look at the data about their services and make assumptions about how to improve them, often at the expense of those receiving the services. The Latinx Youth Engagement Project wanted to avoid that misstep, and hear directly from the youth themselves. “I have loved this part of the project and the youth have found it empowering as well,” she said. Now with this feedback and new funding from the Raikes Foundation and United Way of King County to continue the research project, it will move forward with Latinx youth leading it. Hannelore explains they will be trained and conduct at least 30 interviews, learn to analyze the data and communicate the findings with the overall community. “This project is an example of our commitment to ESJ and to learning how to better serve young people and communities of color,” she said. Pictured: Current King County Peer Connectors, whose role is to find disconnected youth in the community and support them in finding education or employment connections that are the best fit for them. From left to right, Omar Aldaco-Silva, Shannen Antolin, Maria Gonzalez, and Mohamed Ahmed. Within King County there are approximately 11,000 youth between the ages of 16-24 who are disconnected from school and do not have a high school diploma. These young people, who live primarily in south Seattle and south King County, often face exclusion from the many opportunities available in our growing region. Hannelore shares that while it can be challenging to develop programs like this, the work is needed – and ultimately rewarding – as it provides opportunities to those who need it most. 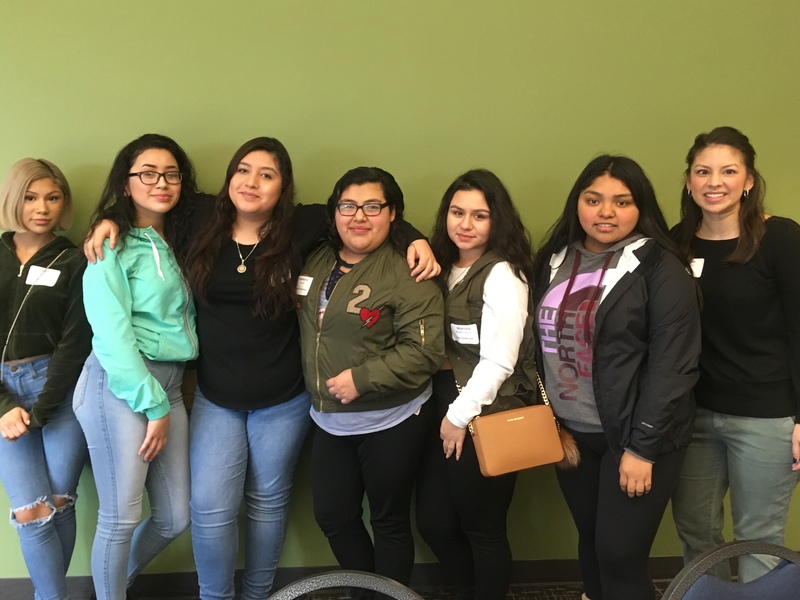 For information about the Latinx youth Engagement Project, contact Hannelore Makhani at Hannelore.Makhani@kingcounty.gov. To learn more about the Road Map Project visit www.roadmapproject.org.